These are truly the perfect pants to lounge in at home or rock out in them at an outdoor festival. Stay warm and look stylish. 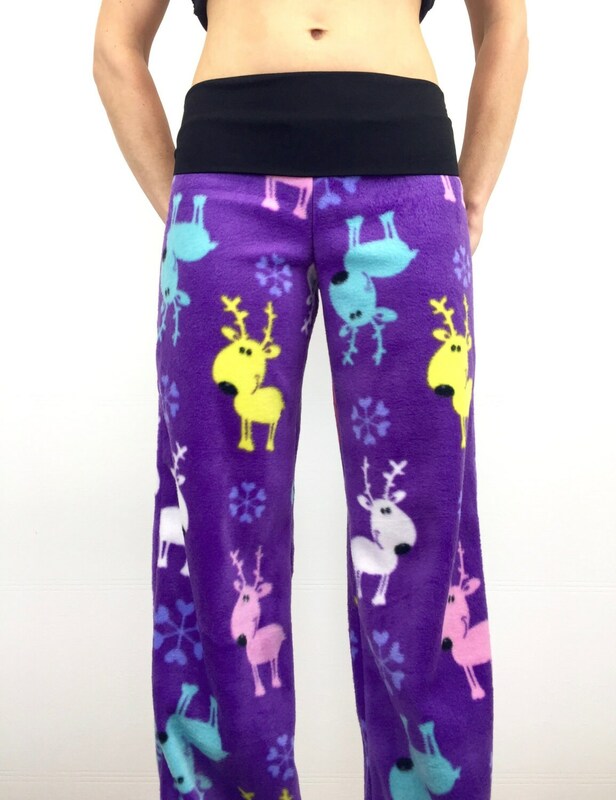 These amazing pants are made with a high quality polar fleece and have a super comfy cotton/spandex waistband. The waistband is nice and wide and adds an element of comfort, no more drawstrings digging in to your waist when all you want to do is be comfortable. Comfort, high quality and style, these pants have it all. Sizing: all Party PJs come with a standard inseam of 31.5"
The Extra Wide waistband fits loosely and very comfortably. It's also extremely complimenting. If you're unsure about sizing, please contact me, I will be happy to guide you through picking a size. My main goal is to make you happy and looking So-Fine! The bottom cuff is cut with shearing scissors to give it an extra cute finish.